Have You Been Arrested for Public Intoxication? Often times police officers will look the other way, especially if the person looks as though they will likely make it home safely in spite of their intoxication. In cases where the police feel that the person is at risk (and/or presenting risks to others), for example: alone, lost, disoriented, belligerent, young, elderly, disabled, with dependents, about to drive a vehicle and/or female, they will investigate the offense and possibly arrest or detain the individual, ostensibly, for their safety and/or the safety of others. California Penal Code section 647(g) allows a peace officer to place someone into civil protective custody in these circumstances as long as the person committed no other crime, is not also under the influence of drugs, provided that there is a sobering facility nearby. The City of Santa Barbara maintains such a sobering facility on Haley Street. Typically, a person is released by the “Sobering Center” staff after about four hours even though they have the lawful authority to keep them detained for up to 72 hours. If the detainee protests, or is otherwise unruly and/or in need of medical attention, the police will return and process a criminal arrest under section 647(f). In those cases, the person arrested will generally be prosecuted at a later date in a court of law and, in Santa Barbara, under normal circumstances, will spend anywhere from 6 to 23 hours in the Santa Barbara County Jail before they are released after signing a “promise to appear” in court. The booking into jail itself will create public record that will show up in many background investigations and could even end up in a newspaper or on the internet. A booking, however, is not a “finding of guilt” and will not be fairly considered a crime or “criminal record” by most definitions. However, there is little question that a booking alone is a serious set-back for an otherwise law abiding individual. It can definitely be viewed as evidence of an alcohol problem and/or a behavioral problem by anyone conducting a background check (employers, academic institutions, licensing bodies, the government, etc.). You are encouraged to call or email Mr. Makler for a free, no obligation, consultation to find out what, if anything, you can do limit, or even eliminate, the negative impact this record. If prosecuted, 647(f) is a misdemeanor thus requiring a mandatory appearance in court by you or your attorney. The maximum penalty is 6 months in jail. On a first offense in South Santa Barbara County, jail, on a stand-alone charge of 647(f), is usually limited to the initial booking and detention. The penalty is usually a fine only (approximately $150). Probation is not usually ordered. However, as painless as that might seem to some, one should never overlook what a misdemeanor conviction is going to do your reputation as a law abiding citizen, your employment present, your employment future, your academic future, your eligibility for immigration benefits (if you’re not a U.S. citizen), your ability to travel to foreign countries free of worry that you will be excluded or detained/delayed at the border/airport, your existing professional license(s), your potential of becoming professionally licensed in the future, your ability to win public office, and the list goes on. Misdemeanor convictions, even after a remedy known to the court as Penal Code section 1203.4 relief (and known to many others as “expungement”), do not get wiped completely off of law enforcement databases and court records. They linger possibly for a lifetime, and can severely impair one’s ability to attain the career they want and may reduce their lifetime earning capacity. For these reasons, no matter who you are, it is wise to speak about your options with a qualified lawyer. It could be that he or she might find a way out entirely or, at the very least, better your understanding of what to expect. In rare cases, the police will arrest someone for public intoxication who does not fit the criteria. In those cases, you must consult a lawyer and consider, among other things, filing a civil lawsuit against the police for deprivation of your civil rights and, possibly, other claims. If you are under 21, and convicted under California Penal Code section 647(f), you will face an additional penalty of a one year drivers license suspension. It doesn’t matter that you weren’t driving a vehicle, don’t own a vehicle, don’t live in California or don’t have a license in California. If convicted, you will not be able to legally drive in California for one year unless the judge on the case decides that you have what’s known as a “critical need” to drive. Then, perhaps, and upon application, the judge will grant limited driving privileges to allow you to maintain a job and/or academic obligations that require driving. If arrested for this offense in South Santa Barbara County, it is recommended that you speak to a qualified lawyer as there is, on a first offense, very often a fairly easy way to avoid both the misdemeanor and the drivers license suspension. 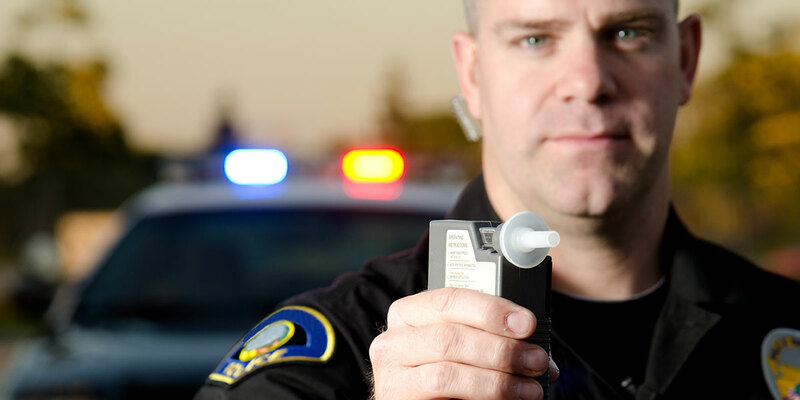 Read more on the topic of public intoxication charges.